Chor des Theater Bonn, Beethoven Orchester Bonn / Dirk Kaftan. Stage director – Enrico Lübbe. Theater Bonn, Bonn, Germany. Sunday, March 17th, 2019. When thinking about Elektra the opera, one could question how much of what Elektra, the character, experiences is in the mind or indeed reality. Is Elektra right when she accuses Klytämnestra of sending ‘viel Gold’ to kill Orest, for instance? Tonight’s staging by Enrico Lübbe, a new name to me – as indeed was virtually all the cast, led me to question what was in fact real, and what was in fact imagined. 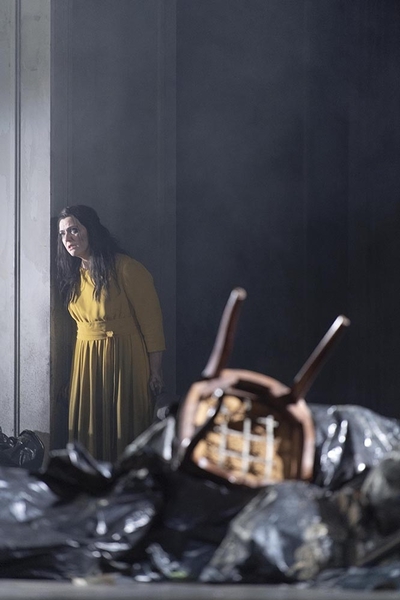 Lübbe gives us an intelligent staging, one perhaps inspired by the Naples garbage strikes of a few years ago. Elektra lives, quite literally, with the garbage. The curtain rises on the maids having a good clear out of the palace, throwing bags full of garbage to the foot of the stairs where Elektra has her hovel. It made for a striking setting, although there were a few moments when characters were camouflaged by the bags, making it hard to locate Elektra or Chrysothemis. From time to time, eight men and eight women appeared, seemingly dressed as younger Elektras and Orests carrying axes. This was an intriguing idea – Elektra’s fantasies of her brother returning home and her revenge against her mother coming to life – but also one that I found underused. Of course, Robert Carsen used a similar idea in his earthy Paris staging, but here it could really have provided an even more cogent visual addition to the events on stage. 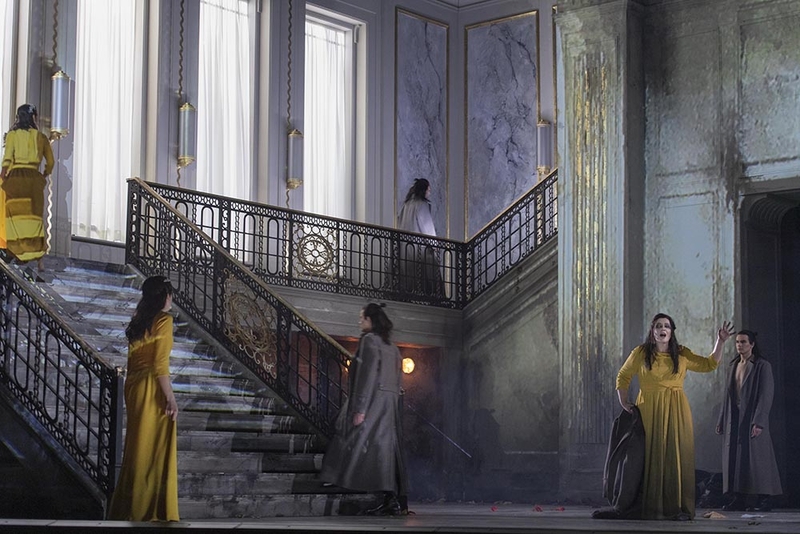 The sightlines of the Theater Bonn are excellent, but there were a few moments where Lübbe placed characters at the extremities of the stage – Klytämnestra’s entrance for instance – where characters might have been lost to audience members at the sides of the auditorium. Still, it’s a fluent and logical staging, one that reserves a fascinating final twist to the closing pages that I found utterly convincing. The evening also benefitted from the excellent playing of the Beethoven Orchester under their music director, Dirk Kaftan. Kaftan brought out a transparency to the textures that meant that so much detail that often barely registers came to the fore. The wind figures in Elektra’s opening monologue, for instance. The string sound was full and rich but Kaftan balanced the textures so that the winds were able to emerge impressively. He was an exceptionally singer-friendly accompanist, perhaps too much so in places, as there were a few isolated moments where it felt that the principals could have fallen behind slightly. Kaftan’s tempi were generally quite fluent, although he pulled back to quite haunting effect in the recognition scene. The brass was excellent all night – not a single split note. 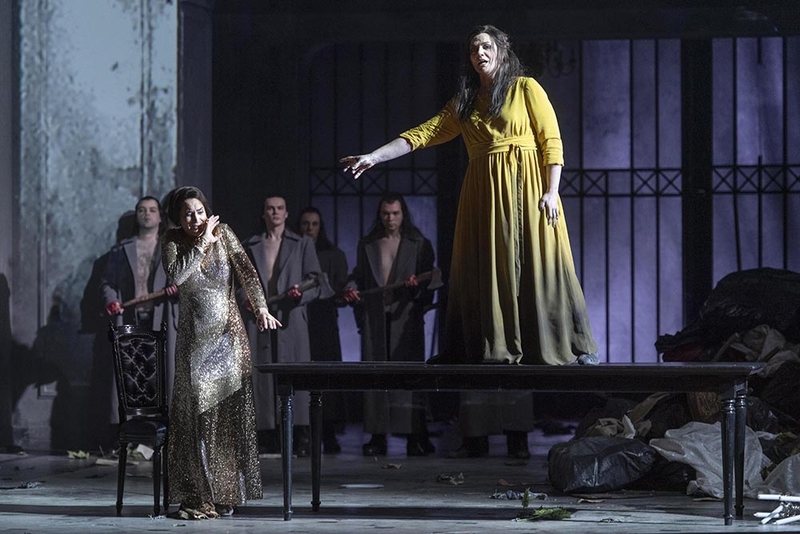 Aile Asszonyi gave us a relatively lyrical Elektra, the voice finding an introspective warmth in the long, loving phrases of the recognition scene. There was certainly heft there also. Asszonyi was fearless in the big moments, although as she put pressure on the tone in the uppermost reaches at full volume, intonation unfortunately went south. 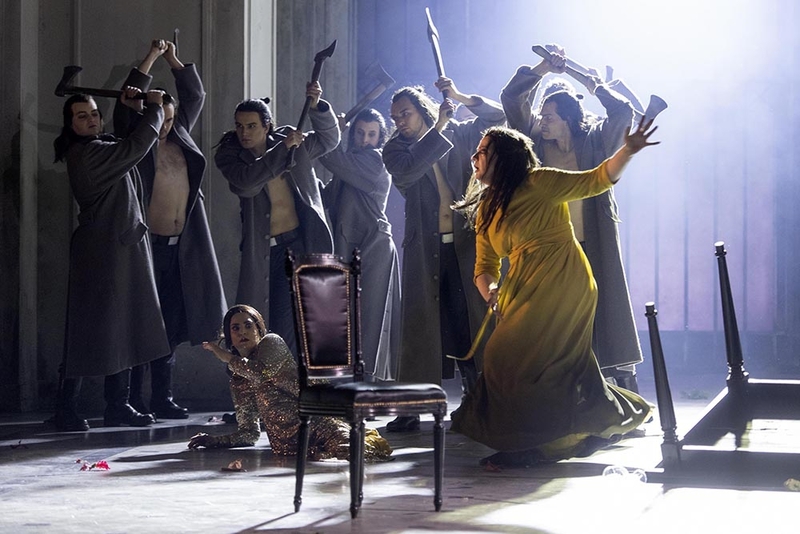 Asszonyi’s Elektra was sung off the text and shirked nothing in passion. As her mother, Nicole Piccolomini commanded the stage. No tired harridan this, but a glamourous woman, every inch a queen. Piccolomini also caressed the text, singing her music in a full, resonant contralto with a fabulously rich chest register. Higher up the tone was somewhat soft-grained, perhaps lacking the ultimate degree of steel to sustain the higher writing, but as a new role, this was certainly a notable assumption. Manuela Uhl brought her experienced Chrysothemis. Her pearly soprano doesn’t quite soar with the ease of yore, now sounding somewhat tight and effortful on top. Still, she penetrated the surging orchestral textures with ease and the clarity of her diction gave much pleasure. 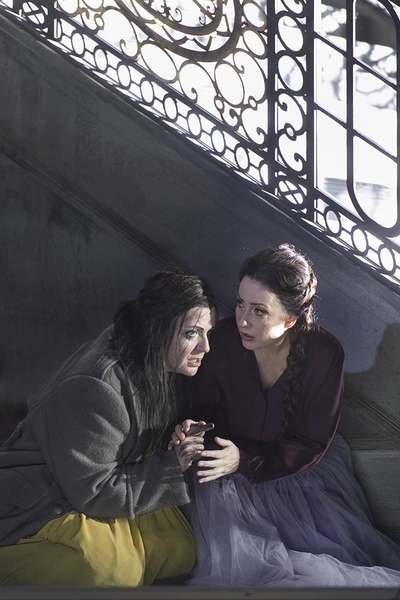 As her brother, Martin Tzonev, was a big, implacable vocal presence, always solid in tone. Johannes Mertes’ Ägisth was sung in a robust, beefy tenor, a believable toy boy to Klytämnestra. The remaining roles were respectably taken. There was much to enjoy in this Elektra. The orchestral playing was very fine and the singing was always honourable – and in places even more than that. 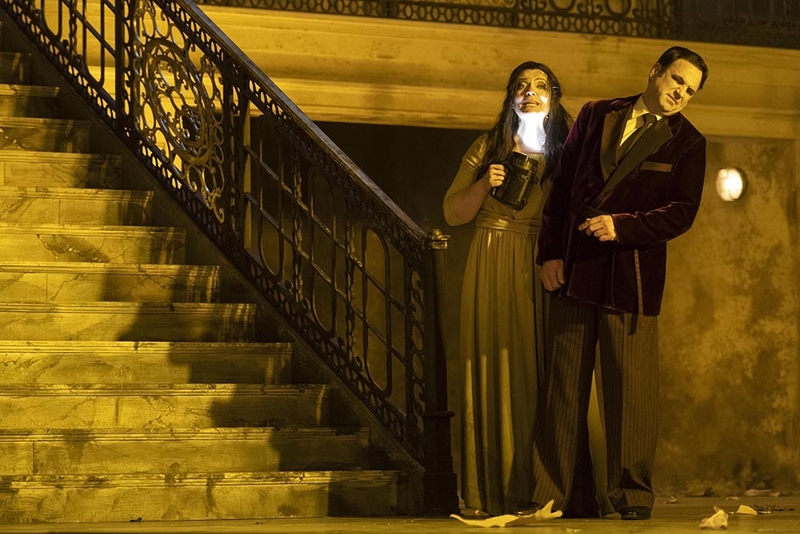 We were also given an intelligent and logical staging, one that ended with a twist so coherent that I wondered why it had never been done before. The audience received the entire cast with an extremely warm ovation.